About two weeks ago I spoke with a journalist on the subject of heresy, admittedly not a topic that I think about often. “What is heresy? Who are heretics?” were the basic questions asked of me. As it was suggested to me, I had in hand the definition of heresy from the Catechism of the Catholic Church: “the obstinate post-baptismal denial of some truth which must be believed with divine and catholic faith.” Unfortunately, that definition only got me a few minutes into our three-hour conversation. With my mind drifting while I was preparing to meet the reporter, I thought briefly of St. Irenaeus’ “Against Heresies,” directed against the Gnostics. In the second century, these Gnostics were teaching heretically that the spirit was imprisoned within our corrupt material bodies and that it could ascend to eternal life only upon our physical death. Irenaeus’ main counterpoint was that body and spirit were created by God, were good and will ascend together to eternal life. Any mention of Irenaeus’ treatise, though, would have been even more futile in my discussion with the journalist. Irenaeus’ “Against Heresies,” however dense, nevertheless contains some magnificent quotations. Perhaps his most well-known is this, included in today’s Office of Readings: “Life in man is the glory of God. The life of man is the vision of God.” Here, St. Irenaeus provides not so much a denunciation of heresies but a tremendous testimony to the dignity of humankind, created in God’s image, and in turn to our dependence on God. To lose our notion of these two fundamental truths, I posit, is the ultimate heresy. Pride that disregards God and thus cannot have a proper grasp of human dignity is as seductive in our time as it was in the era of St. Irenaeus. The wilful ignorance of God by the ancient Israelites at the height of their prosperity drew the ire of the prophet Amos. Today we hear from Amos the startling finale of the six “oracles against the nations,” of which the first four are directed against foreign peoples, the fifth is against Judah, and the sixth is a scathing criticism of the ancient Israelites’ decadence. This was not what Amos’ target audience wanted to hear; Israel was reminded that it, more than other nations, had benefitted from God’s grace in its history, having been delivered from Egypt and from the Amorites. Israel, more than its neighbouring peoples, knew better than to have abandoned its covenant with God. As Amos’ oracle shocked the ancient Israelites, our Psalm response in today’s liturgy still has an alarming character. Not many Christians can or ought to ignore this warning: “Remember this, you who never think of God.” The repetition of these words, however disturbing, should make us think and pray: How often do I think of God? How often do I adore and thank God? How often do I embrace the divine gift of my vocation above “a place to lay [my] head” or above religious or secular ritual, however important these are? Most of us are quite adept in such areas, but we can always improve with regular and attentive prayer. Without denying the corruption of sin, we must remember the presence of God and unite ourselves to Him. God, St. Irenaeus wrote beautifully, is with us as “a constant goal toward which to make progress.” In His love for humanity, God sent His Son, the Christ who “revealed God to [us] and presented [us] to God.” Let us pray that we might be ever mindful of that relationship between humankind and God- Father, Son and Spirit- to whose glory and by whose abundant love we are given life everlasting. Catechism of the Catholic Church, 2089. The word “Gnostic” comes from the Greek gnosis, for knowledge. Gnostics in general believed that secret divine knowledge had been revealed to them that had not been granted to all Christians as a matter of faith. Valentinus, of whose writings only fragments have survived to the present, was the particular target of St. Irenaeus’ “Against Heresies.” See Irenaeus, Against Heresies, I.1. Philip J. King, “Amos,” in The Jerome Biblical Commentary, edited by Raymond E. Brown, Joseph A. Fitzmyer, and Roland E. Murphy (Englewood Cliffs, NJ: Prentice-Hall, 1968), 1:246. See Matthew 8:21-22. Jews in Jesus’ time had great reverence for the dead, and much emphasis was placed on proper burial to honour deceased family members. The teaching to “let the dead bury their dead,” designed to shock first-century hearers, should be understood as an example of a hyperbolic proverb. The point of this saying is that discipleship of Christ must take precedence over ritual, although the latter might be of profound importance. This instruction is not that the rituals themselves are wrong or trivial, but that they, too, come from God. However, these are subordinate to the greater gifts of fellowship and mission in Jesus Christ. See also the Lukan parallel of today’s Gospel reading, found in Luke 9:57-62. “Do not judge, so that you may not be judged.” Jesus’ simple teaching recorded in Matthew’s Gospel has been one of the most misinterpreted. For good reason, then-Cardinal Joseph Ratzinger, in his Homily prior to entering the conclave that elected him as Pope Benedict XVI, spoke of the “dictatorship of relativism” that threatens our world. That relativism, which “does not recognize anything as definitive” but proposes a logically incoherent system whereby one cannot or ought not to judge one principle to be truer than another, was not what Jesus advocated. On the other hand, especially in our North American society, persons become engrossed in show trials or legal dramas, or television programs that present real-life civil cases whose palpable animosity is made accessible to the viewing public. While the viewing of many of these programs is not wrong per se, their popularity may suggest an obsession with reproachful judgment of others from the comfort of our homes to which Jesus’ warning in today’s Gospel reading more directly applies. Notably, Jesus’ saying about judgment is explained through the use of hyperbole. Those in Jesus’ time or in the target community of Matthew’s Gospel would likely have appreciated the hyperbolic humour in the saying about taking “the log out of [one’s] own eye” before removing “the speck [from one’s] neighbour’s eye.” At the same time, profound caution to be aware of our own faults before those of others and of our need for forgiveness is conveyed by this instruction. The proscription against judging others does not bar us from distinguishing good from evil; in fact we must constantly differentiate these as faithful and rational moral agents. However, that teaching is deeper than merely judging and acting morally; by it Jesus draws us into the mystery of God’s bountiful mercy. As God is merciful toward us, we must not condemn, lest we likewise be condemned, but we are to act mercifully toward our neighbour. We ought to even exercise that mercy pre-emptively, just as God anticipates our sins and our struggles, and is ever-present to assist, to console, and to forgive us. St. Aloysius Gonzaga, whose memorial we celebrate today, especially understood this mercy of the divine judge that we are called to replicate. A prince by birth, he placed himself at the service of the plague-stricken hospital patients in Rome. He contracted the plague himself and died at the age of twenty-three years. In his humility, St. Aloysius thought it “better to be a child of God than the King of the whole world.” Let us pray that we might follow the example of St. Aloysius of consecration to our one true King and Judge. May we, through the intercession of St. Aloysius Gonzaga, patron of youth, come to a greater love for God, be preserved from sin, and at the hour of death be welcomed into the embrace of God’s mercy by which we are judged and by which we conduct ourselves toward one another. Joseph Ratzinger, “Cappella Papale, Mass ‘Pro Eligendo Romano Pontifice’: Homily of His Eminence Cardinal Joseph Ratzinger, Dean of the College of Cardinals, Monday 18 April 2005.” http://www.va/gpII/documents/homily-pro-eligendo-pontifice_20050418_en.html. Accessed 20 June 2010. This paragraph is derived from the video reflection for 21 June 2010 by Fr. Michael Manning, SVD, posted on the website of the United States Conference of Catholic Bishops. See http://www.usccb.org/video/reflections.shtml. John L. McKenzie, “The Gospel According to Matthew,” in The Jerome Biblical Commentary, edited by Raymond E. Brown, Joseph A. Fitzmyer, and Roland E. Murphy (Englewood Cliffs, NJ: Prentice-Hall, 1968), 2:75. The Catholic Liturgical Library, “Eucharistic Prayer I (Roman Canon), Mass of the 1970 Missal.” http://www.catholicliturgy.com/index.cfm/FuseAction/Text/Index/4/SubIndex/67/ContentIndex/22/Start/9. Accessed 20 June 2010. “Saint Aloysius Gonzaga, June 21,” in Living With Christ, Large Print Edition, Vol. 16 No. 6 (June 2010), 168. 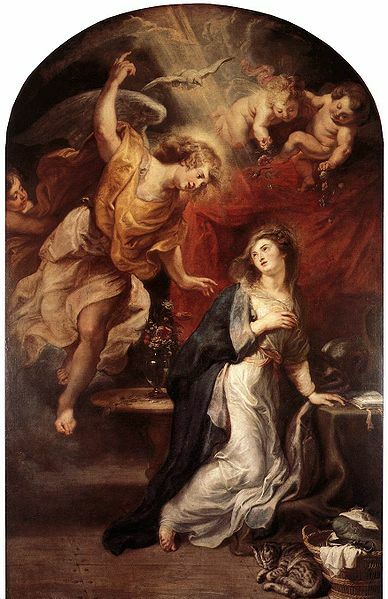 Quote Catholic, “Saint Aloysius Gonzaga: Child of God.” http://www.quotecatholic.com/ index.php/holiness-devout-life/st-aloysius-gonzaga-child-of-god/. Accessed 20 June 2010.